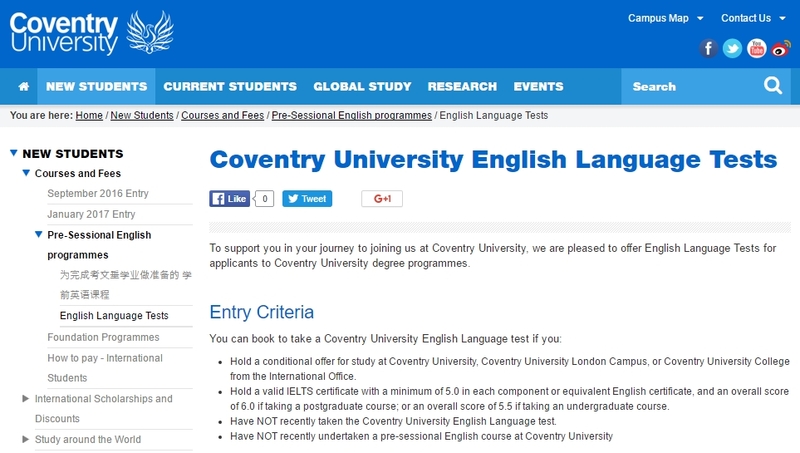 Coventry University에서 영어 테스트 날짜를 공지했습니다. Listening (20 mins) - you will be given three recordings to listen to. You must then answer questions related to these recordings. Reading (60 mins) - you will be given three pieces of text to read. You must then answer questions relating to each text. Writing (60 mins) - you will be given two essay titles for which you will need to write an essay on the subject area. Speaking (10 mins) - you will have a short interview with the examiner where you will be asked questions on a variety of subjects.